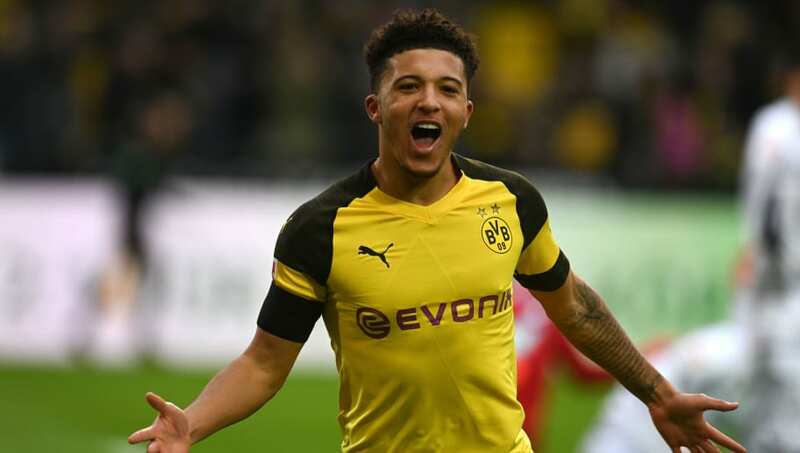 ​Borussia Dortmund winger Jadon Sancho is relishing the prospect of facing Tottenham at Wembley, saying it will be a 'nice feeling' to star in front of his friends and family in his home-town. The 18-year-old swapped Manchester City for the Bundesliga in 2017 in order to increase his chances of first-team football, and after establishing himself as a first-team regular with the German league leaders, he now faces the prospect of lining up at Wembley in the last 16 of the Champions League. While he concedes it will be tough, however, he is excited about the show-down. "Going back to Wembley will just be a nice feeling because that is the home stadium of England and playing there in front of my family and my friends, they are just going to be so amazed and so proud of me I think," he told the ​Mail. "I never really felt pressure when I used to play in England. That is home for me. I would love to play in front of my hometown. "Last time we lost against ​Tottenham at Wembley but I think we are improved this season. It could be a little bit harder for them this time. Some good players are missing out, we try to take advantage of that." Since arriving on the scene at ​Dortmund, Sancho has established himself as one of the world's hottest prospects, and a goal and two assists against Hoffenheim at the weekend have done little to harm his burgeoning reputation. "I try to do my best and do my skills, combine that with my team mates. We are all working hard for the team," he added. "This is a crazy year for me and I am thankful for the team around me. Dortmund is a very big club for me and for my family. Sometimes they cannot believe I am playing here."